Possessing one of the sweetest voices in soul music, Deniece Williams spent a decade at the top of the soul charts making unabashedly positive, thoughtful music, and then another decade as a significant Gospel artist. Her clear delivery and her understated, girl-next-door style won for her a slew of fans and established for her a solid -- if often underrated - catalog of hits. Born in 1951 in Gary, Indiana to a strict Pentecostal family, "Niecy" grew up listening to great Gospel and Jazz singers in her home, including her talented mother. While she did not intend to pursue a career in music, her emerging vocal talent brought her notice in the Chicago area and the opportunity to audition for Stevie Wonder in 1971. Wonder fell in love with her sweet, feminine voice, and hired her for what turned into a three-year stint as part of his vocal group, Wonderlove. Williams' successful work with Wonder landed her side gigs on a number of major albums in the mid-seventies, and ultimately resulted in her being noticed by Earth, Wind & Fire lead Maurice White, and signed by Columbia Records in 1976. Her White-produced debut single, "Free," became an instant smash, her Minnie Ripperton-like soprano voice lilting over an infectiously melodic tune. It also began a string of successful recordings that spanned the next ten years, working with such notable producers as White, George Duke and Thom Bell. Williams' rather traditional approach to music and her gracious demeanor made her attractive to older audiences, and she became a natural duet partner for adult crooner Johnny Mathis, whose career received a needed shot in the arm in 1978 as a result of his duet with Williams, "Too Much, Too Little, Too Late." The number one Pop song spawned the duet album That's What Friends Are For, and gave Williams her biggest audience ever. She continued to score mostly on the Soul charts over the next few years with "I've Got the Next Dance" and the light ballad "Silly" before striking big again with the Bell-produced remake of the Royalettes' "It's Gonna Take a Miracle" in 1982. The accompanying album, Niecy, showed Williams' growing ability as a songwriter, but was marred somewhat by Bell's overly-safe production. She turned to George Duke the next year and scored with the more interesting I'm So Proud and the single "Do What You Feel." Then in 1984, Williams showed her versatility with two contrasting hits: the uber-infectious pop cut "Let's Hear It For the Boy" (from the Footloose soundtrack) went to #1 Pop, while her beautiful ballad "Black Butterfly" became a Soul music classic that is still revered today. In 1985, Williams appeared on the Grammy Awards singing not her nominated hit "Let's Hear It For the Boy," but rather a near accapella version of "God Is Amazing." It signalled the beginning of a significant career shift that led to 1986's So Glad to Know, a contemporary Gospel album that won for her a Grammy Award and established a second career for her as a Gospel star. She continue to flirt with both R&B and Gospel worlds over the next few years, scoring moderate hits with "Never Say Never" and "I Can't Wait," before ultimately parting with Columbia in 1990. Williams then committed to devote more time to the family from her third marriage, and recorded only sporadically over the next decade. Her 1991 children's album, Lullabies to Dreamland (on Word Records), had some success, but her independently released follow-ups didn't fare as well. She returned to Gospel in 1998 with This is My Song, a modest comeback that hit the Gospel top twenty. It was nearly a decade before Williams returned to recording, signing with Shanachie Records and releasing the very nice covers album, Love, Niecy Style in 2007. She looked and sounded great on the album, and it sparked renewed interest in her career. 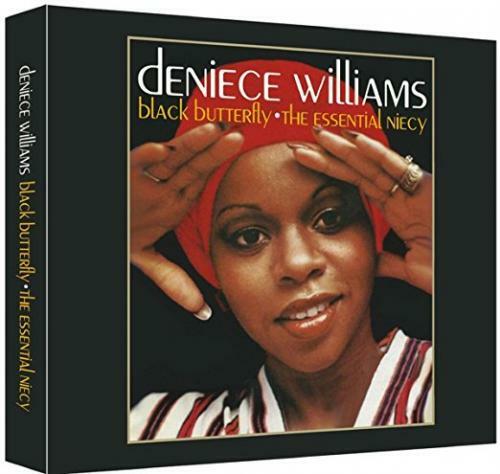 In retrospect, Deniece Williams was a bit of a throwback even in the 70s: a classy, gracious singer who focused on melodic songwriting and a clear, feminine delivery to release memorable music in two genres. While occasionally overlooked in discussions of the most important music of the soul music era, Williams' discography is impressive and consistent, and she clearly established herself as one of the most enjoyable singers of her time.